Qualifications and experience - Natural Health - Lancaster and Preston . I was awarded The Phyto Products Award for Pharmacology for the year 2008-9 by the National Institute of Medical Herbalists (N.I.M.H.). I won my award for work in which I analysed the role and mechanisms of action of phytoestrogens (plant oestrogens found in plants such as Red Clover and Soya) in breast cancer. My interest in herbal medicine stemmed from a young age. I remember my mother using comfrey root ointment on us when we were kids to heal bumps and bruises (I was a clumsy child!). I was unfortunate enough to lose my father to cancer at a young age. It was then that I decided I wanted to take charge of mine and my family's health using alternative medicine. Using natural medicine to nurture the body and to heal holistically resonated with me, so I read a lot about nutrition and herbal medicine. On gaining my A-Levels I decided to pursue art - a subject I am still deeply passionate about. However, soon after gaining my degree I felt drawn back to herbal medicine. Now I am fortunate to have gained the skills and experience to help others. I wholeheartedly believe that optimum health means looking after the mind, body and soul. 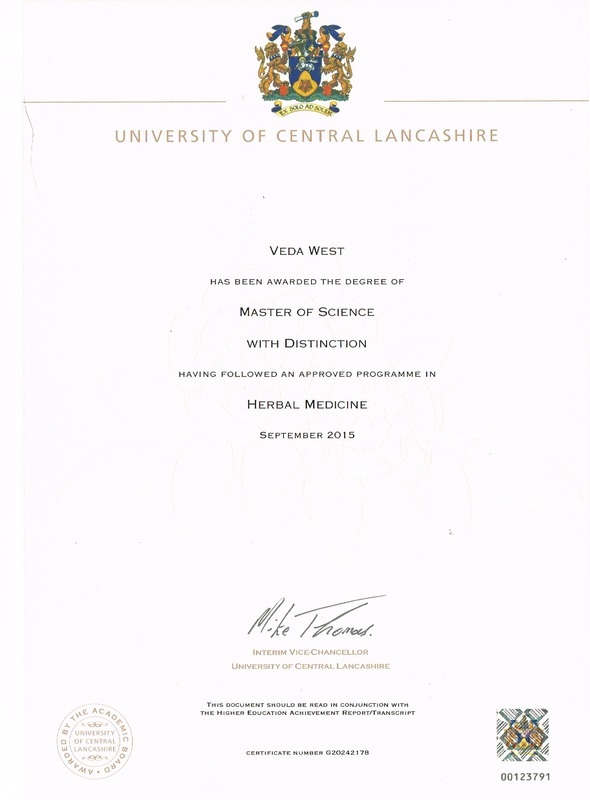 I am experienced medical herbalist holding an MSc with distinction, and a first class BSc(hons) degree in herbal medicine. I have experience supporting people with a wide range of health conditions. 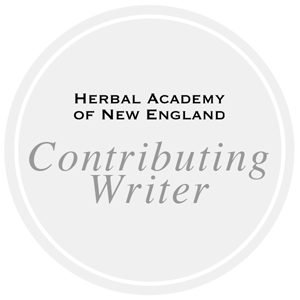 I teach Research Methods for Heartwood (training herbal students) and I am a writer for the Advanced Herbal Medicine Course (aimed at educating herbal practitioners and healthcare practitioners) - Herbal Academy of New England. I am an experienced lecturer and course developer. 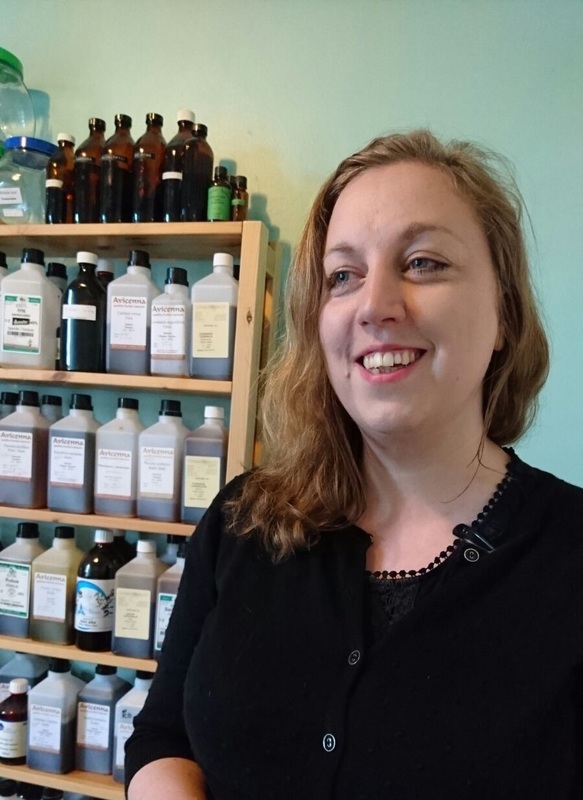 I am a registered Member of the National Institute of Medical Herbalists (founded in 1864, the oldest professional organisation in the U.K. representing medical herbalists). As a Medical Herbalist, I am trained in the same diagnostic skills as orthodox doctors, but take a more holistic approach to illness. My degree training involved the study of anatomy, biochemistry, pharmacology, clinical diagnosis, pathology, physiology, nutrition and clinical training. Prior to training as a herbalist I trained as a Fine Artist specializing in painting. I particularly love oil painting but I also like to experiment with different media.